A loan of $2,700 helped a member to buy more passion fruit, oranges and tree tomatoes to sell to her community. Clementine is a 33-year-old married mother of four children. She is the leader of the Girimpuhwe Group, and in the photo, she is the one who has raised her hand. All members of the group are requesting funds to expand their businesses with the hope of supporting their children and families. Clementine operates a small business selling fruits, including passion fruit, oranges and tree tomatoes. She works hard to support her family and provide them with a better life. Every morning, Clementine opens her stand at 9 a.m. and works tirelessly until her daily supply is sold. 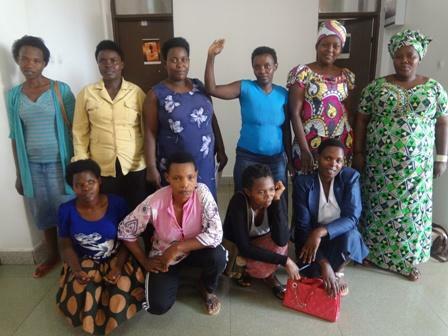 She is requesting a loan from Kiva via Vision Fund Rwanda in order to expand her business. With her profits, she will be able to get medical insurance for her family as well as expand her business.